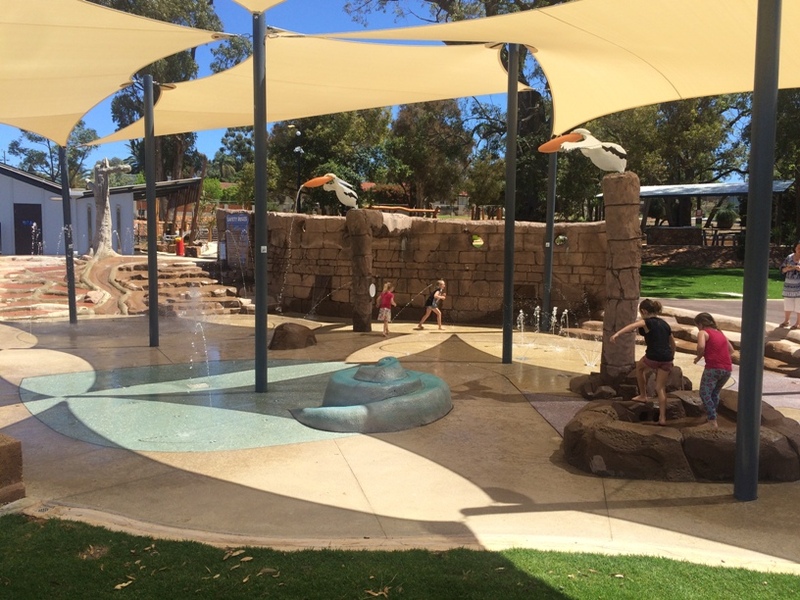 No suffering through a hot day's play at the park with these playgrounds with water play features. 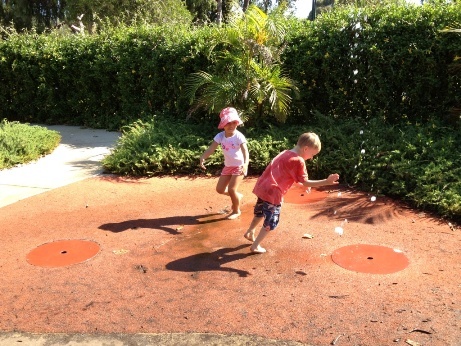 No need to worry about it being too hot to go to your local playground, these parks feature fun water play so your kids can keep their cool while they enjoy a play in the sunshine. 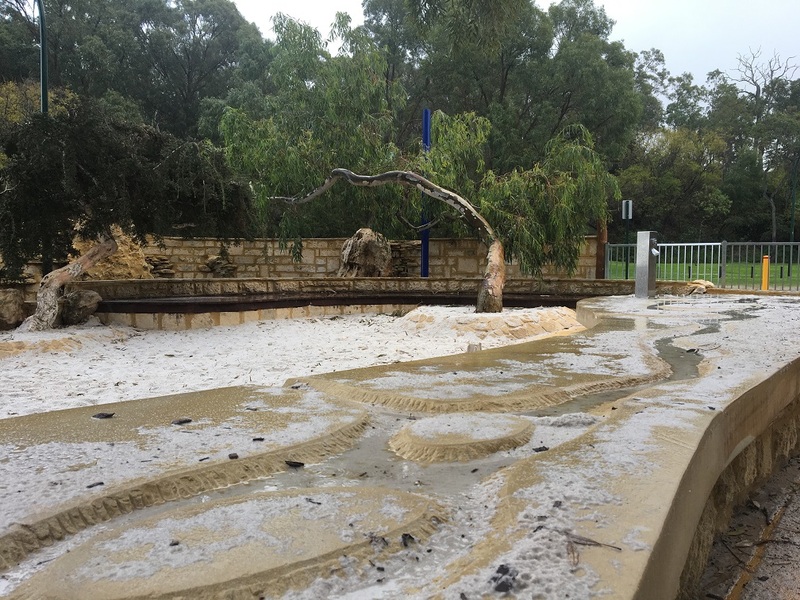 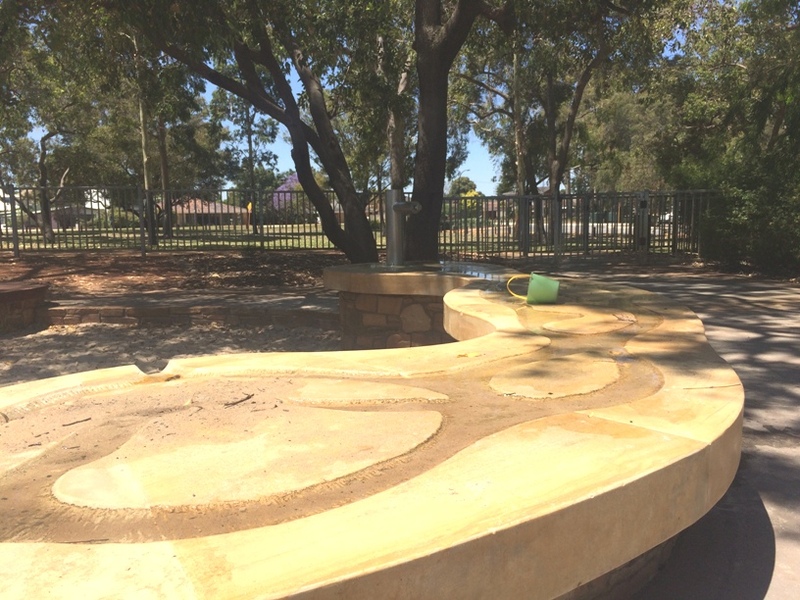 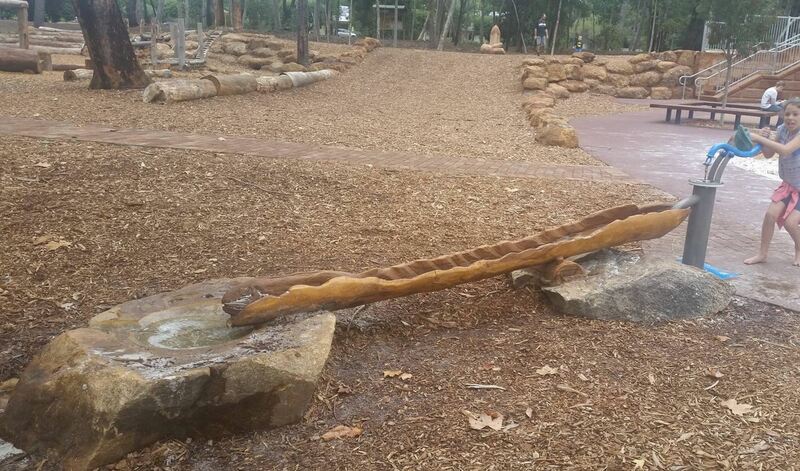 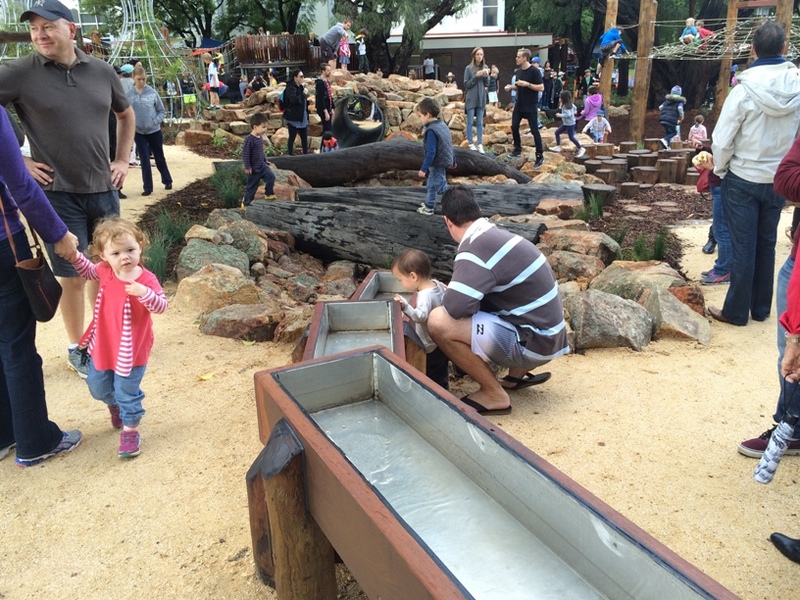 Not one but two nature playgrounds with water play features at the huge Warradale Park Landsdale. 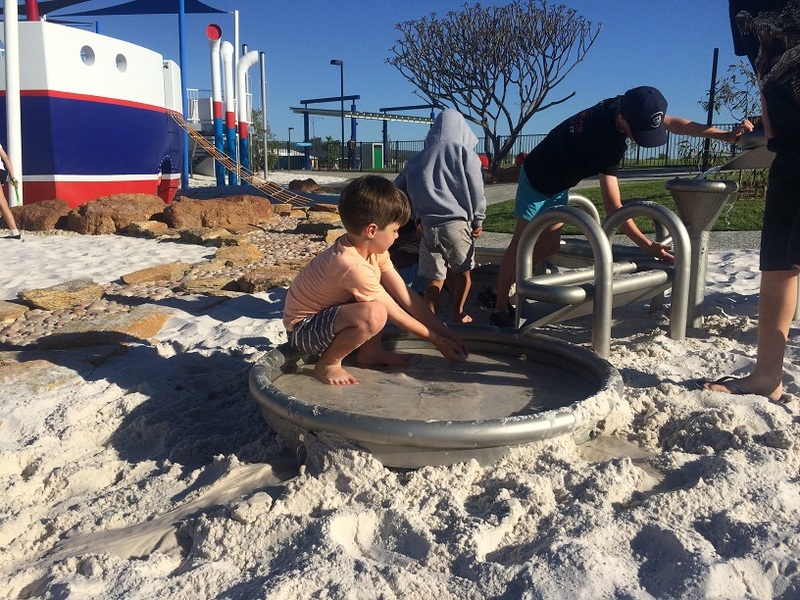 Big playground kids of all ages will love! 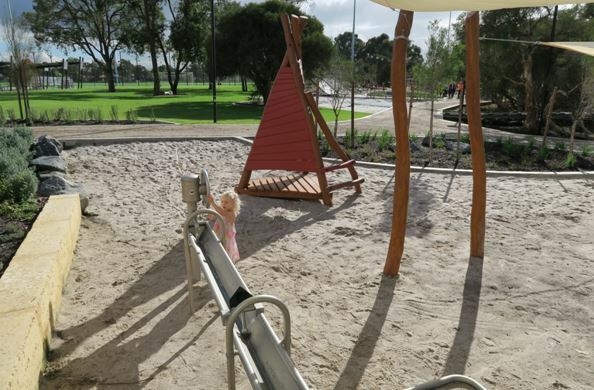 Fully disabled and pram accessible and completely enclosed with double gated entry/exits. 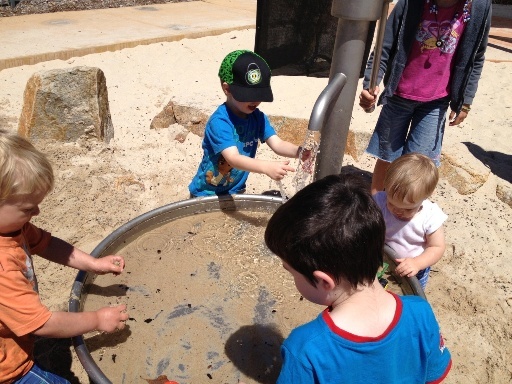 Small water play feature with water pump and sand to make mud. 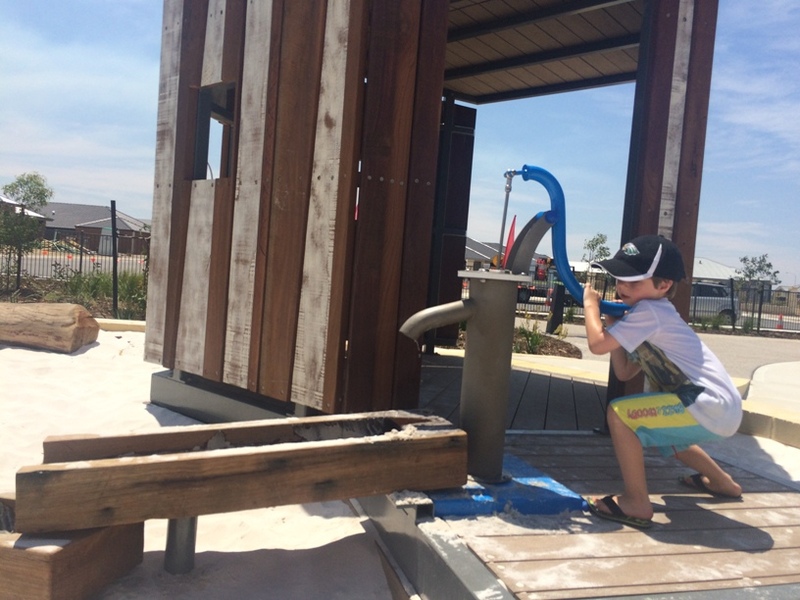 Water play by the seaside at the beautiful Tom Simpson Park Playground. 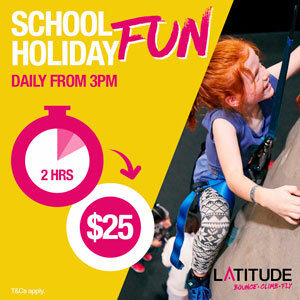 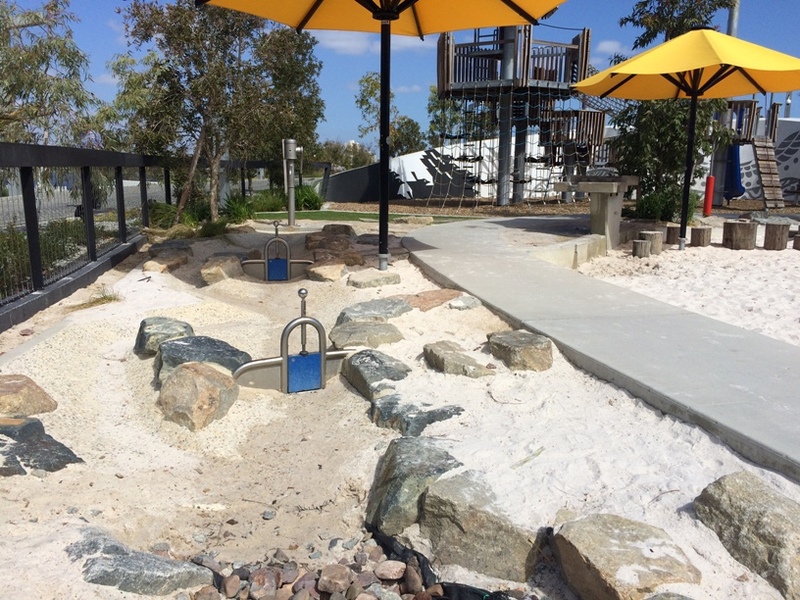 24 hectares of community facilities including nature based / adventure playground, water play, nature board walks, flying fox, skate park and more! 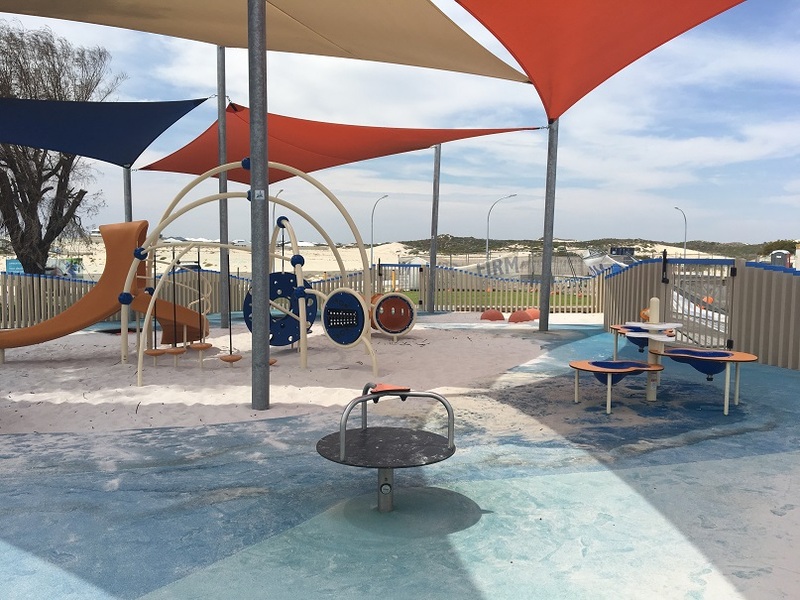 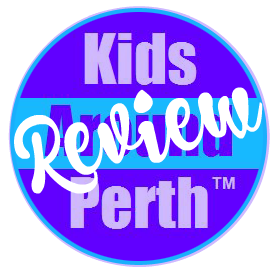 The Newhaven Estate Robot Park Piara Waters is unlike any other park in Perth with a mix of industrial robot themed play equipment and a contrast of nature, sand and water play. 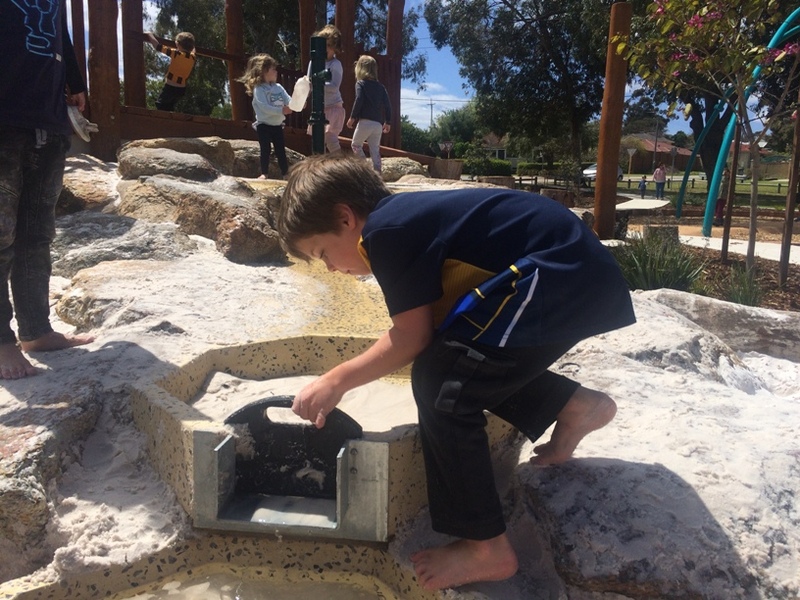 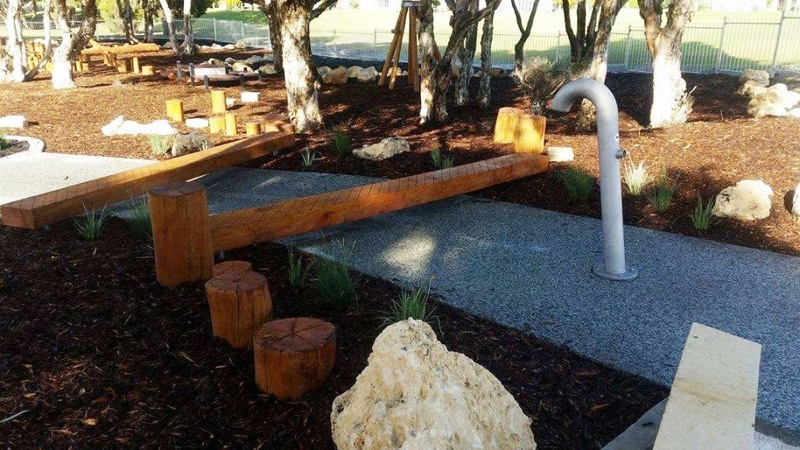 Sensory playground with water pump, trough and creek water play feature. 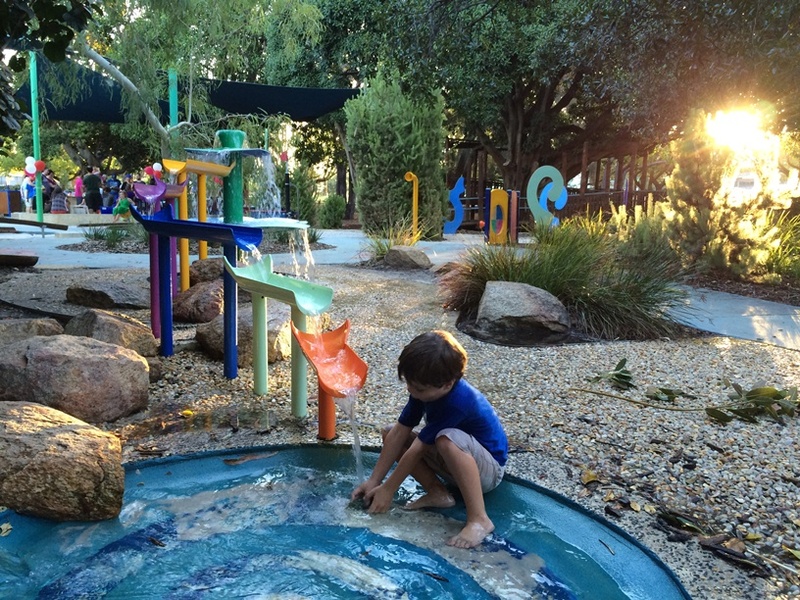 Not one but two water play features here. 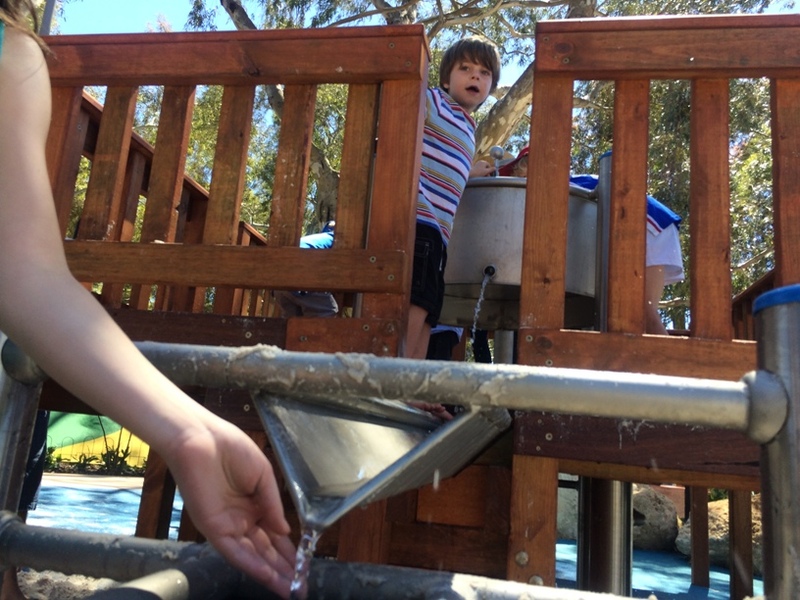 Pump the water into the tank on the elevated fort and open the dams to watch the water flow down to the ground. 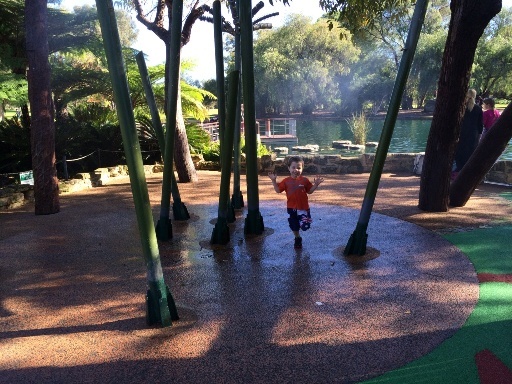 Also enjoy running through water sprays to keep you cool on a warm day. 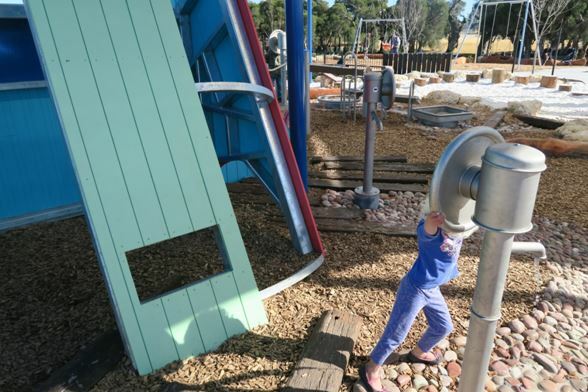 Massive adventure playground that features a splash pad that runs all year round. 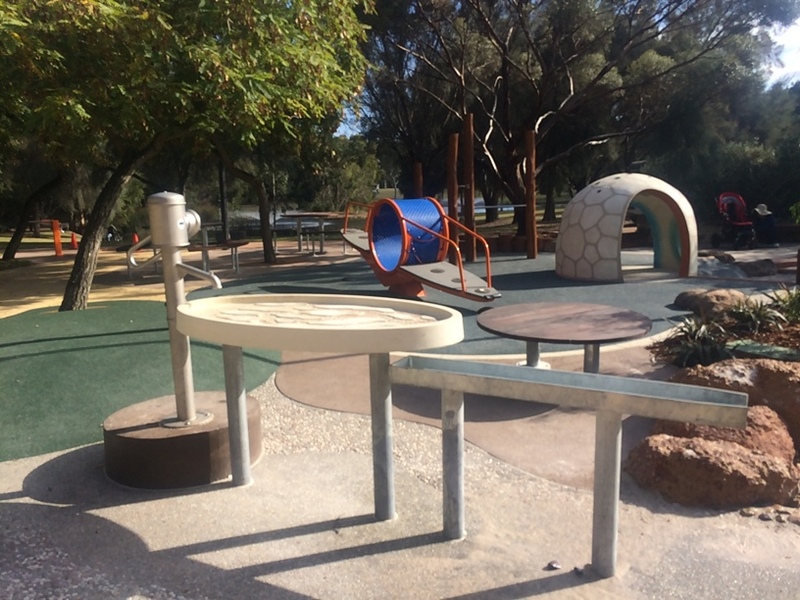 There is also a water pump and sand play feature in the park. 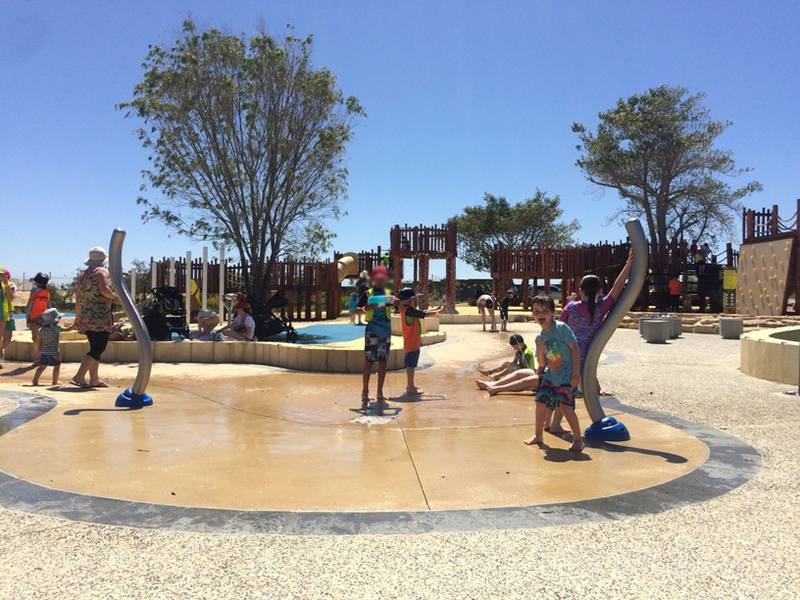 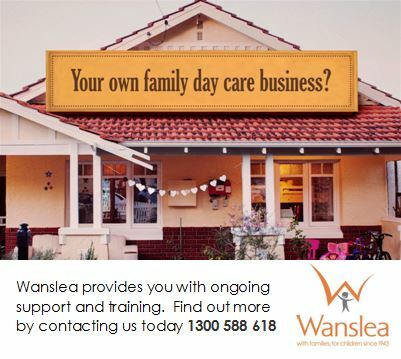 Spend the day here with toilets, showers, bbqs, picnic shelters and lots of adventure play features. 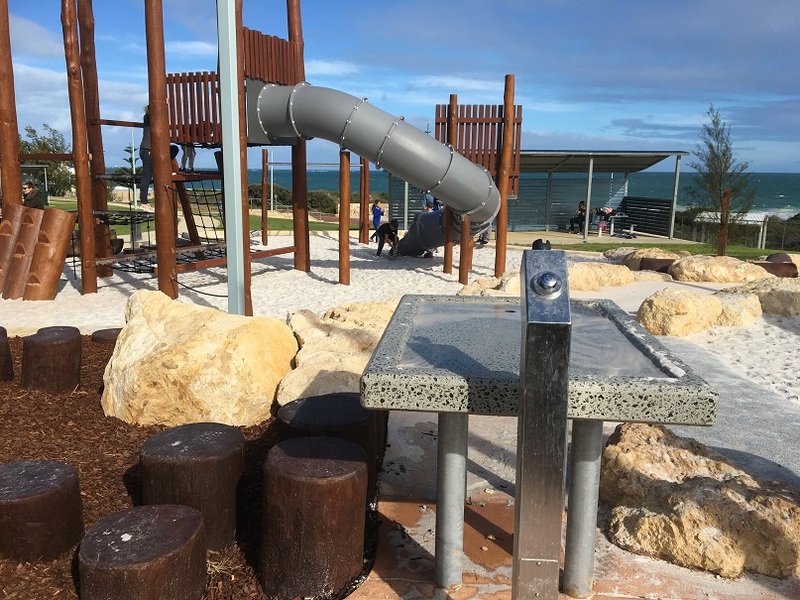 Fantastic water play feature with pump at the top and reservoirs with dams that cascade down the side of the rocky bank. 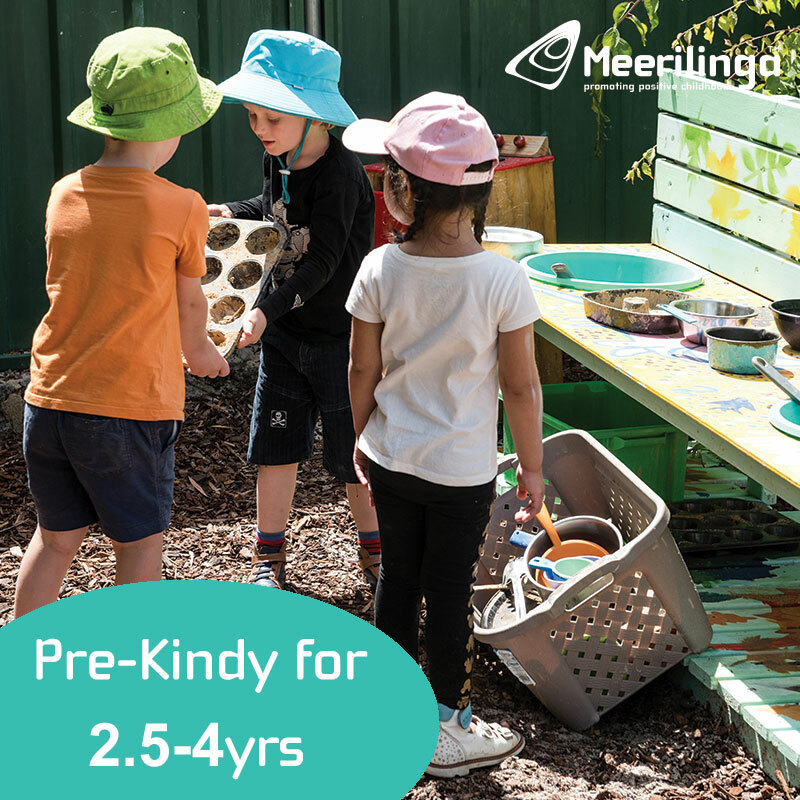 Very popular with the little ones. 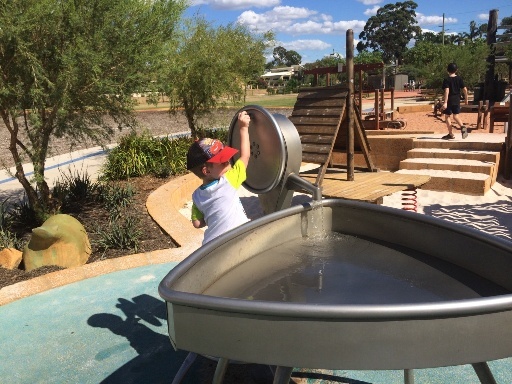 Water pump with trough and rock pool at the end at this big adventure playground. 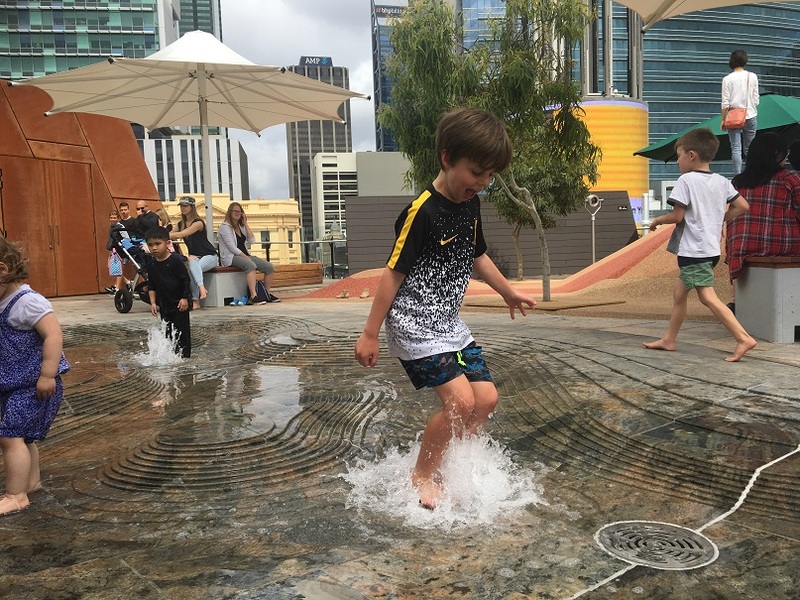 Head to the Market Square rooftop for water play all year round (except Wednesdays - closed) and a play overlooking Yagan Square.